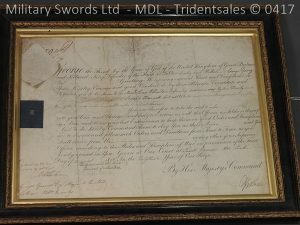 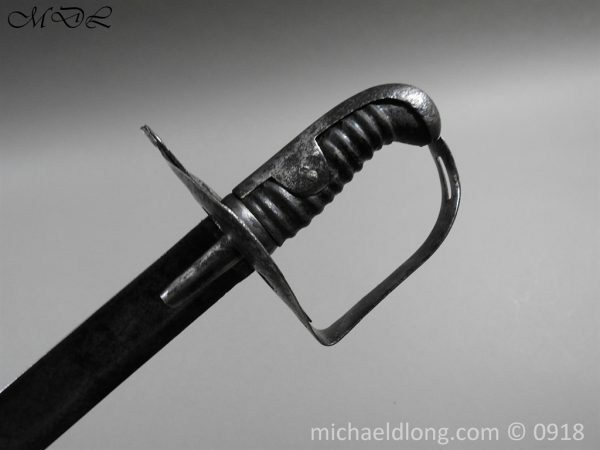 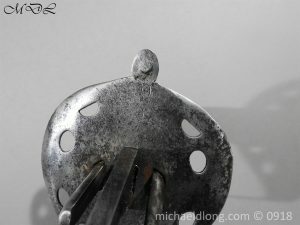 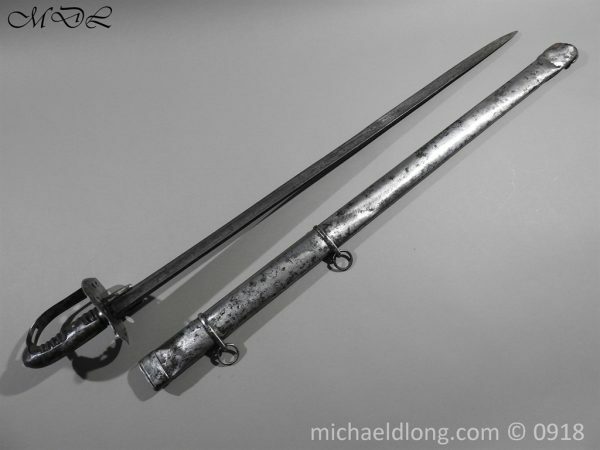 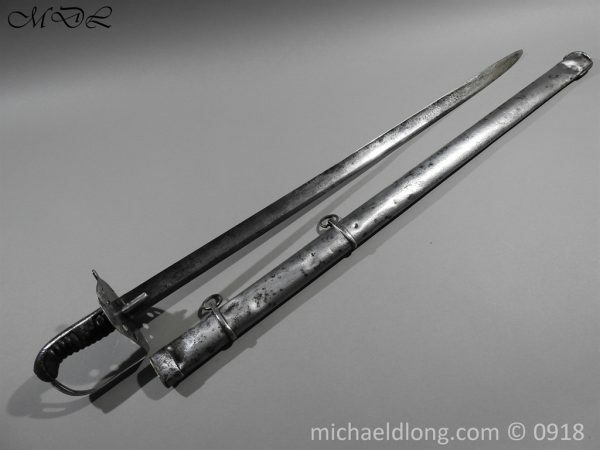 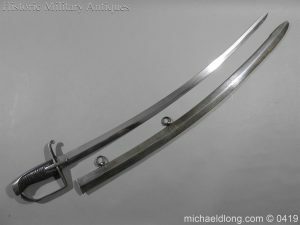 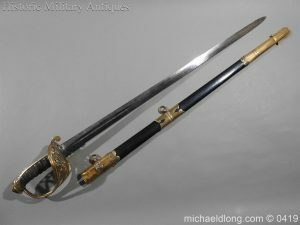 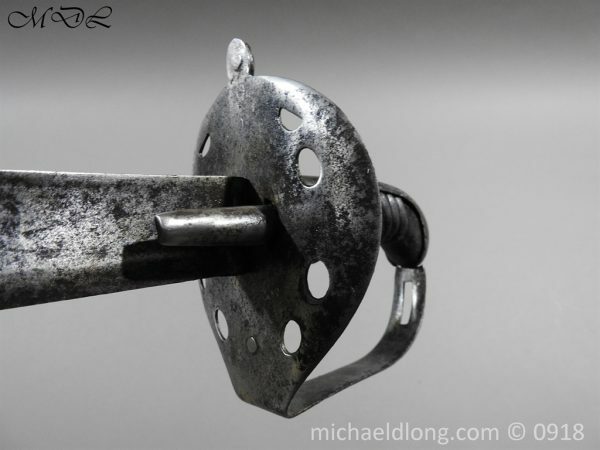 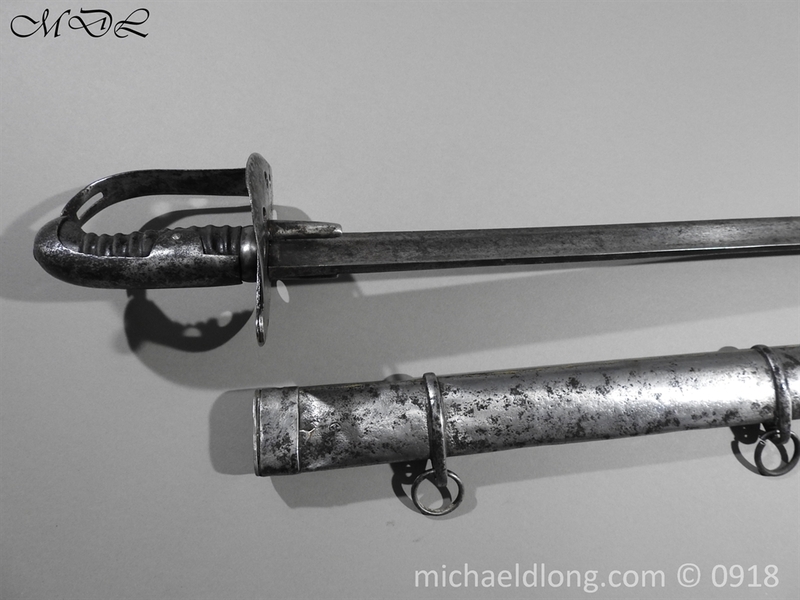 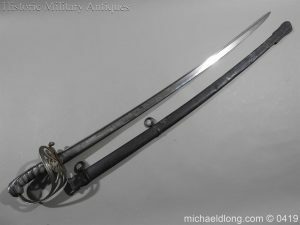 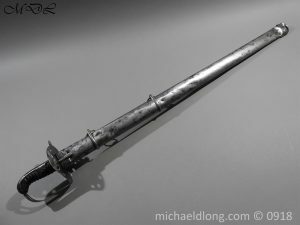 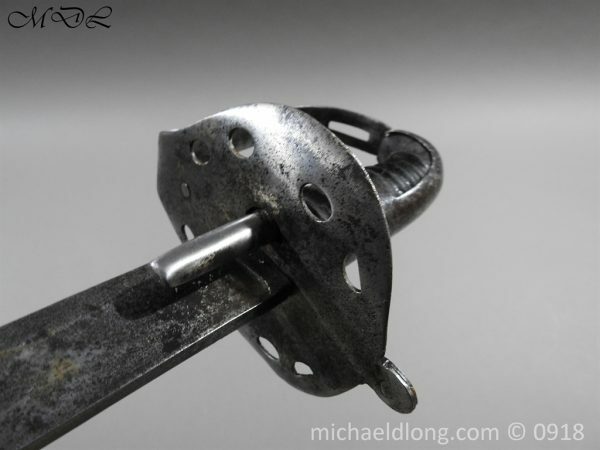 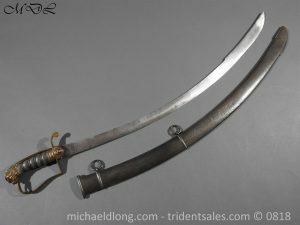 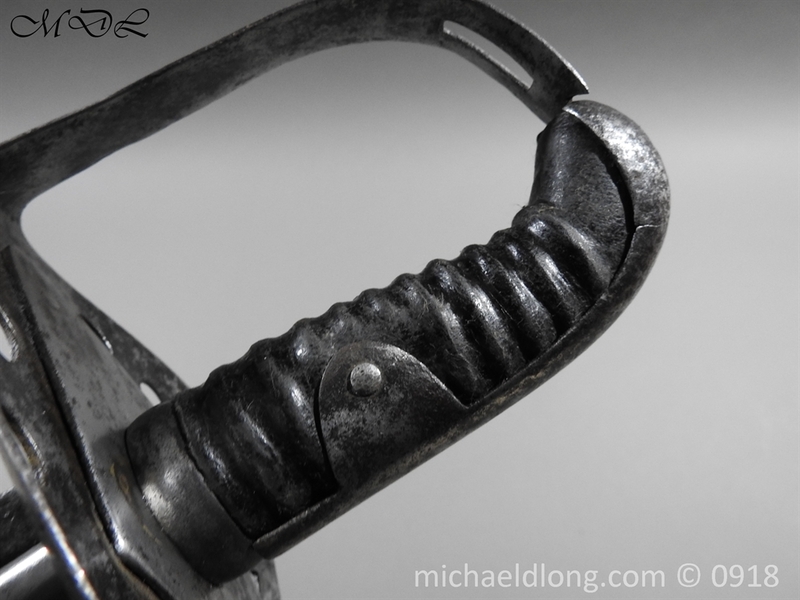 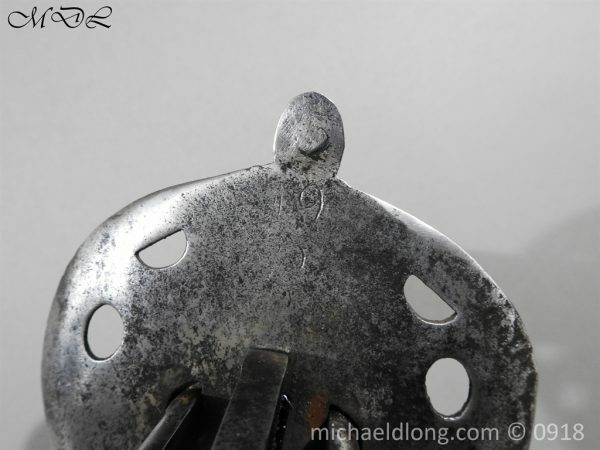 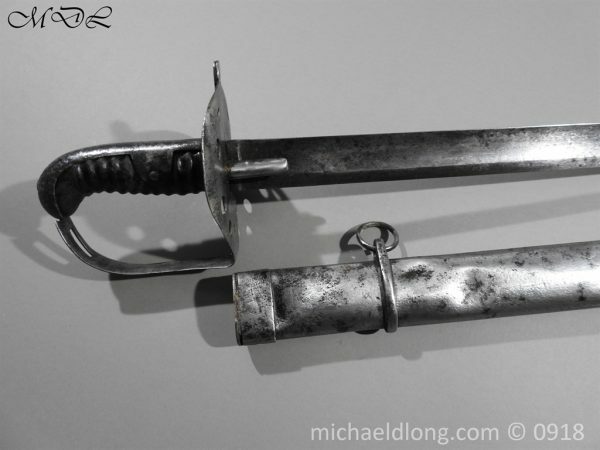 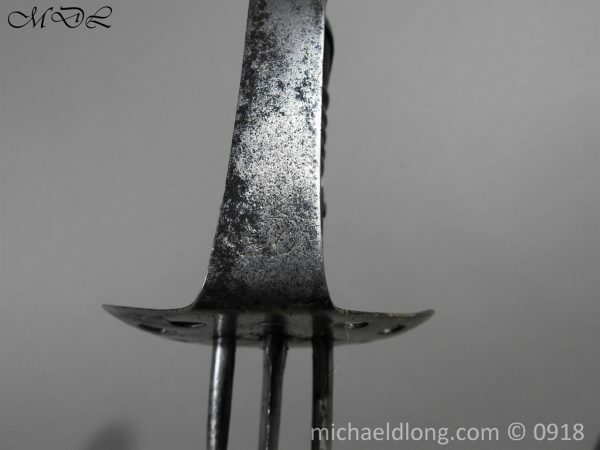 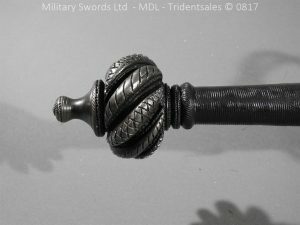 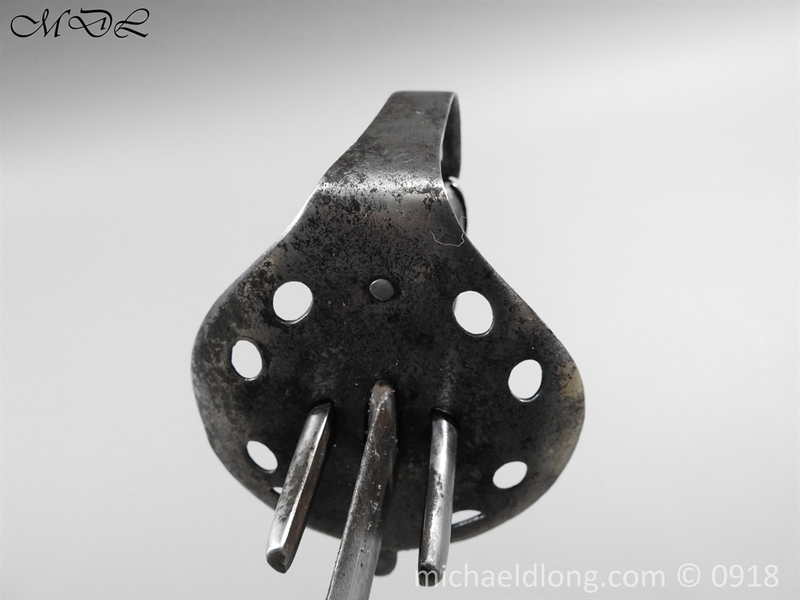 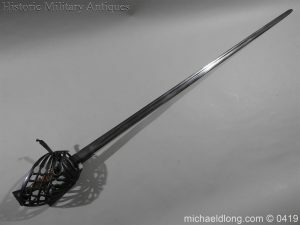 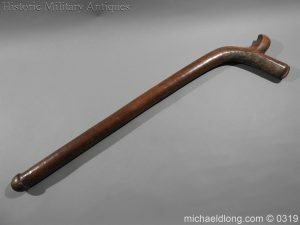 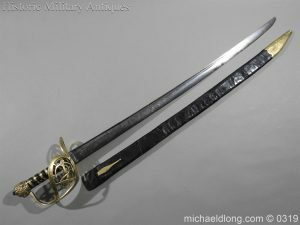 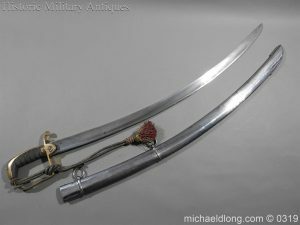 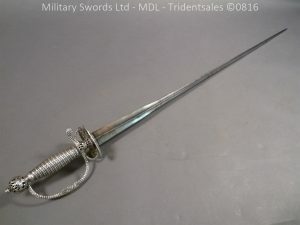 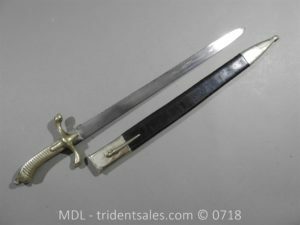 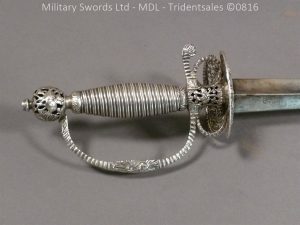 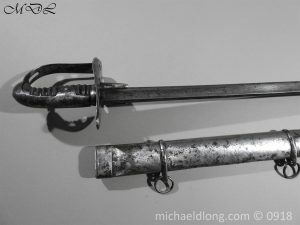 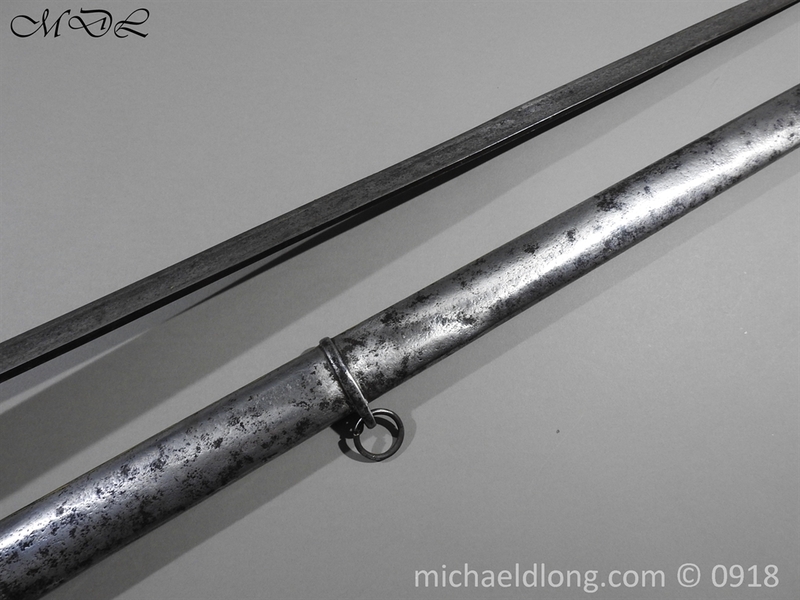 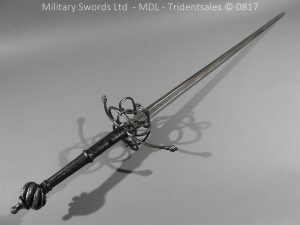 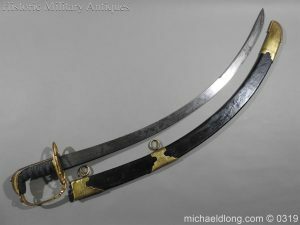 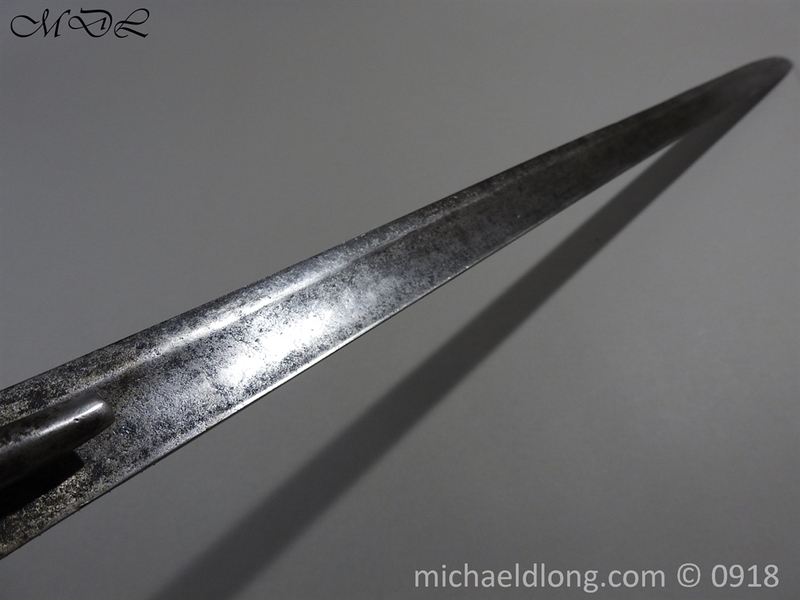 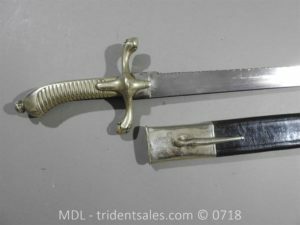 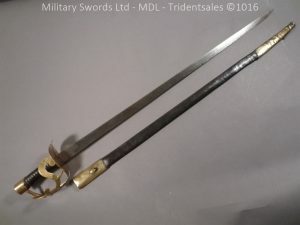 Regulation pattern 1796 heavy cavalry trooper disc hilt sword with langets and full guard. 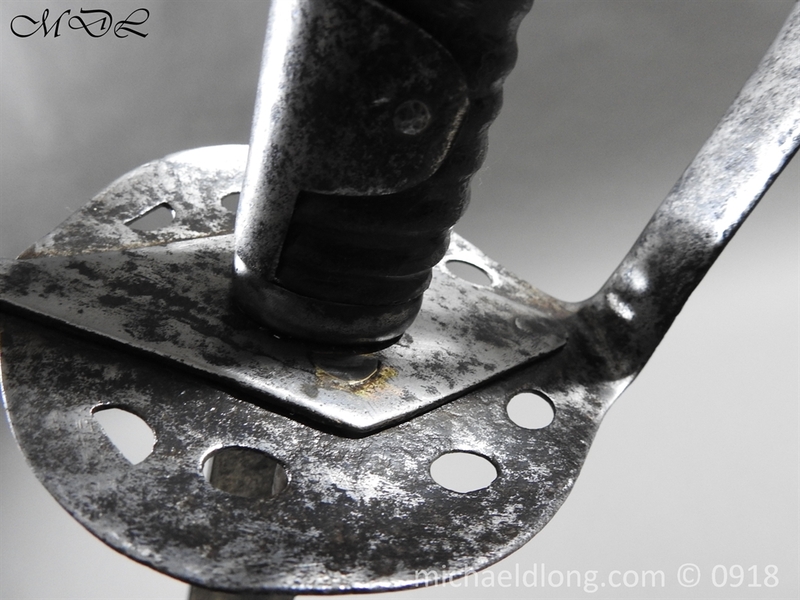 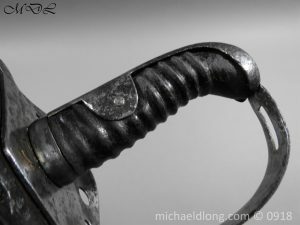 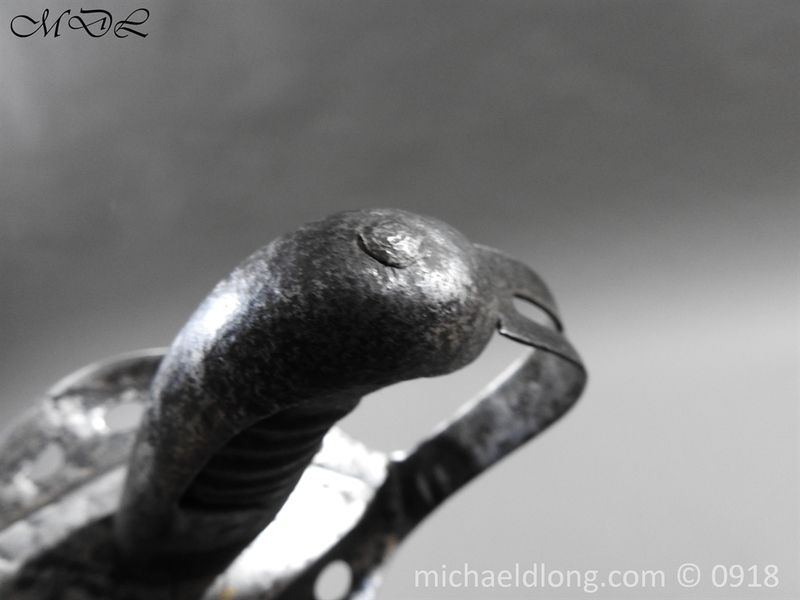 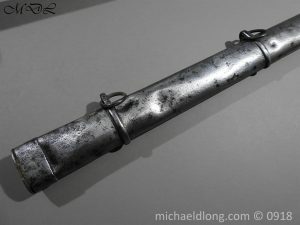 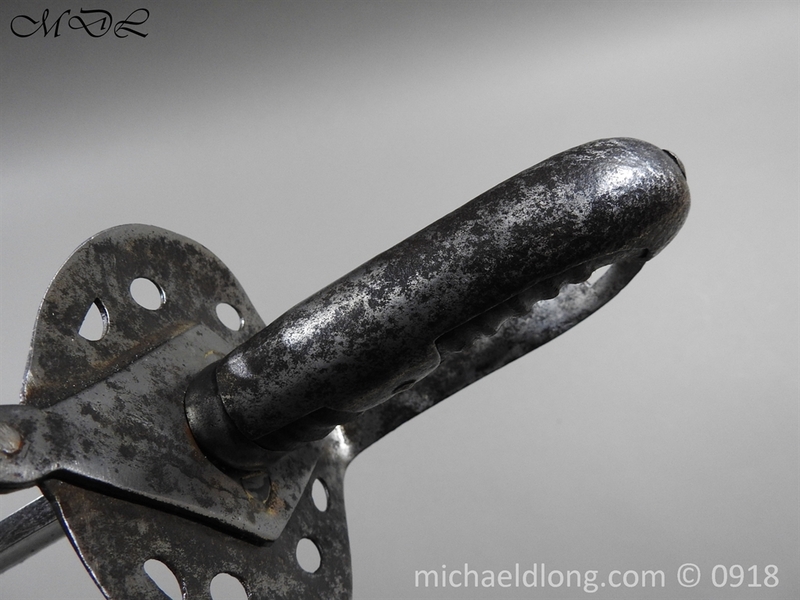 The leather bound grip show signs of age wear however solid with a small mount of leather missing near the hilt. 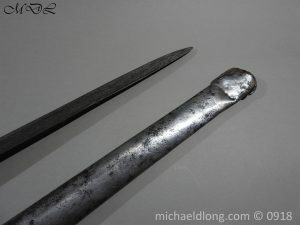 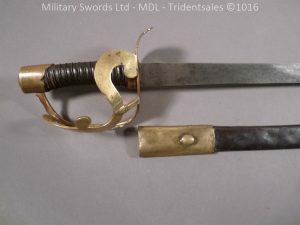 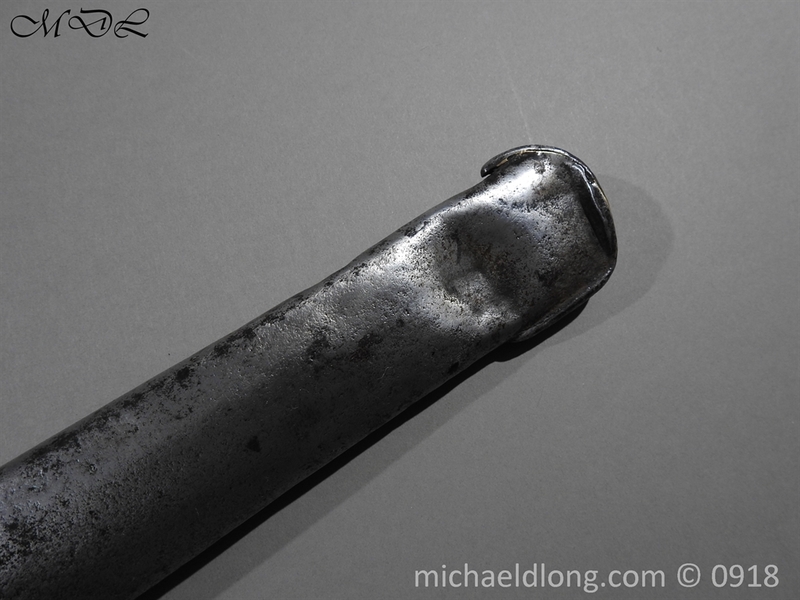 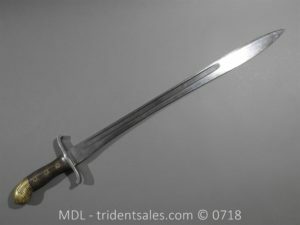 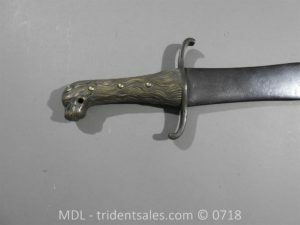 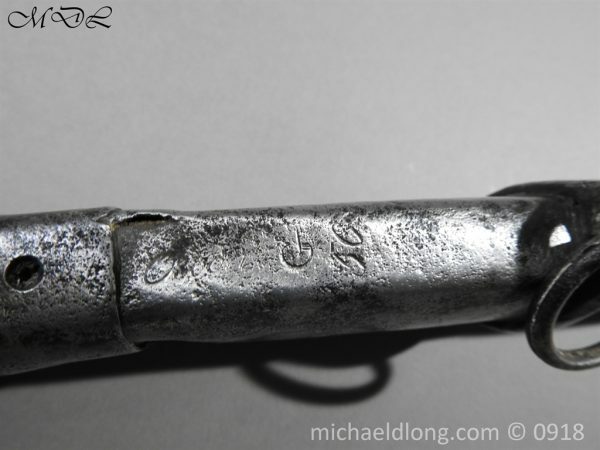 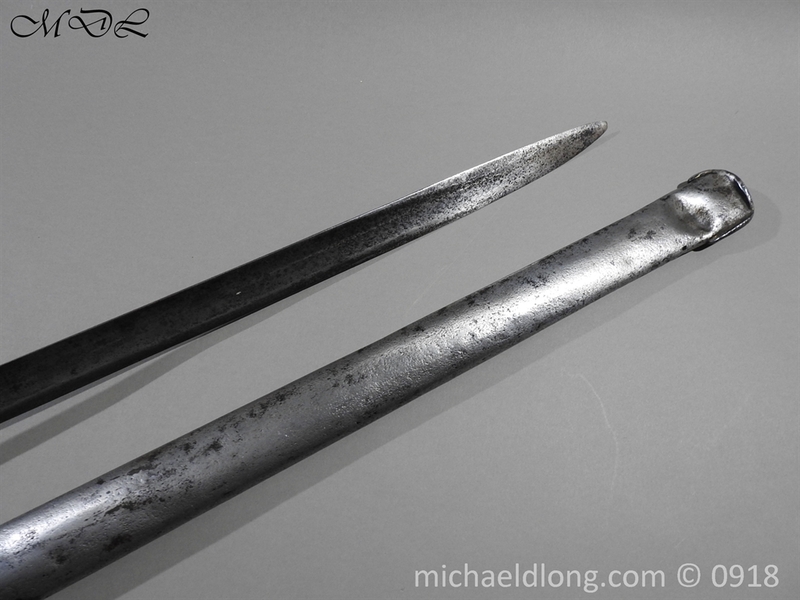 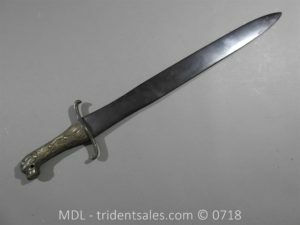 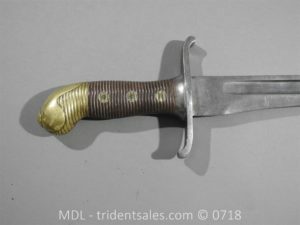 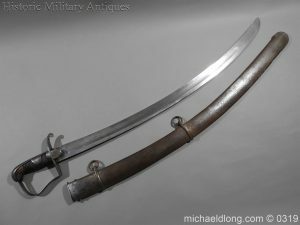 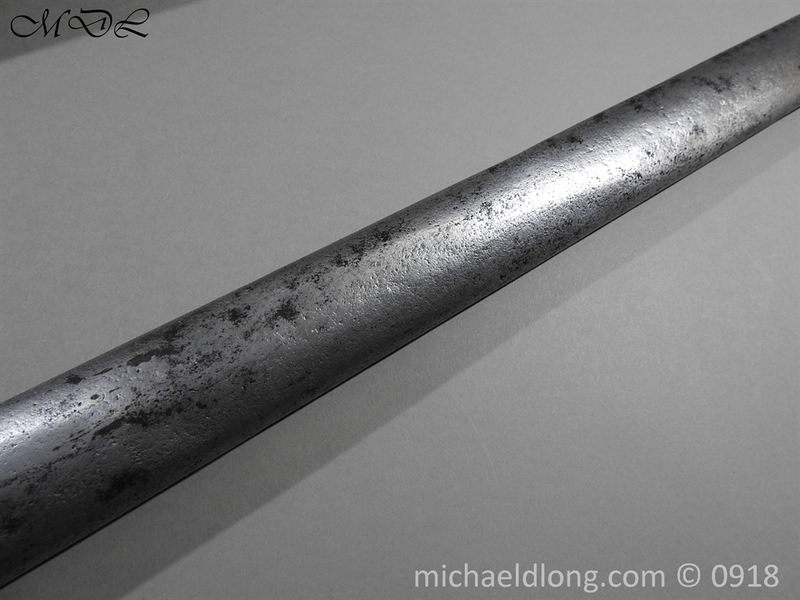 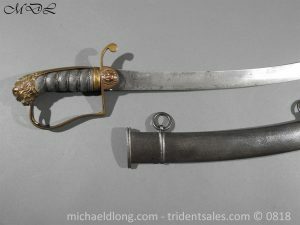 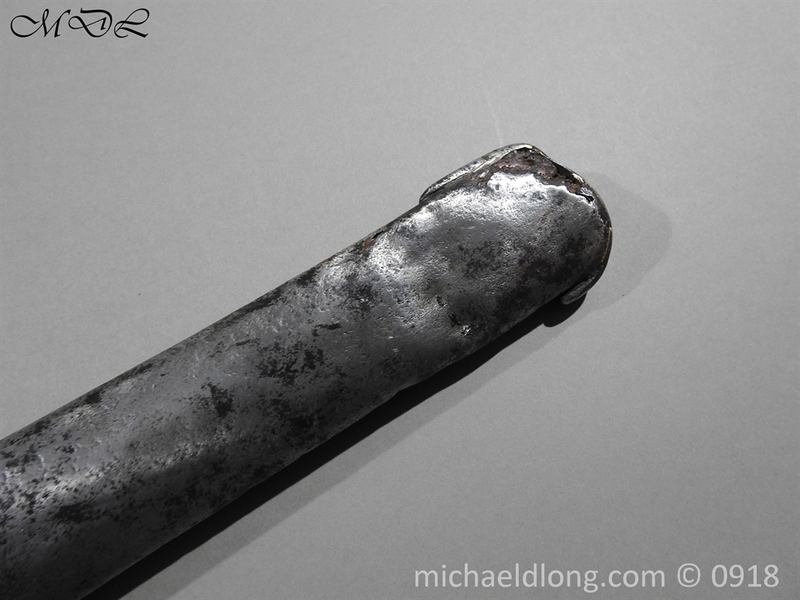 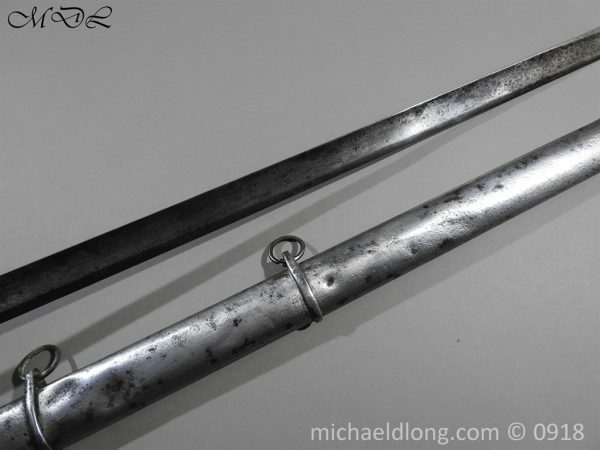 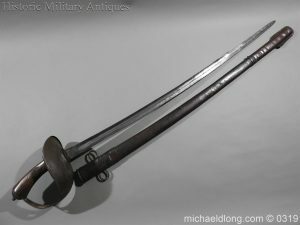 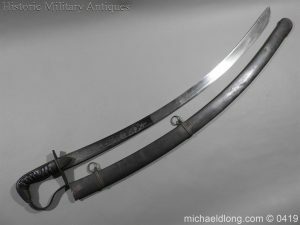 Straight single edge blade with spear point, the guard is engraved with G56 which is matching to the scabbard but very faded, Osbourn also marked on the scabbard. 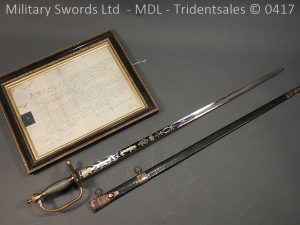 Please note the sword has been clean but is in solid condition and original. 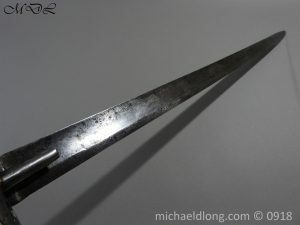 Overall length 100cm the blade 85cm. 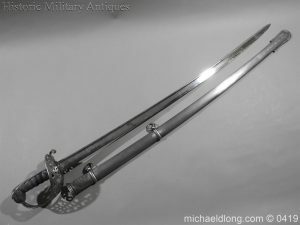 Please Swords of the British Army by Brian Robson revised edition page 19 for reference.